This olive bread is a no knead bread variation that can be made partly with whole wheat flour. When I've eaten no knead bread in the past, it has gone straight from the oven to my plate with some gruyere cheese or olive oil. But I've also enjoyed adding a little layer of olive paste when it was available. It made me wonder whether I could just put the olives in the bread. The answer? Yes. And, a portion of white bread flour can be replaced with whole wheat flour, too, if you like. I describe these no knead bread variations below. "Almost no knead bread" variations are many. 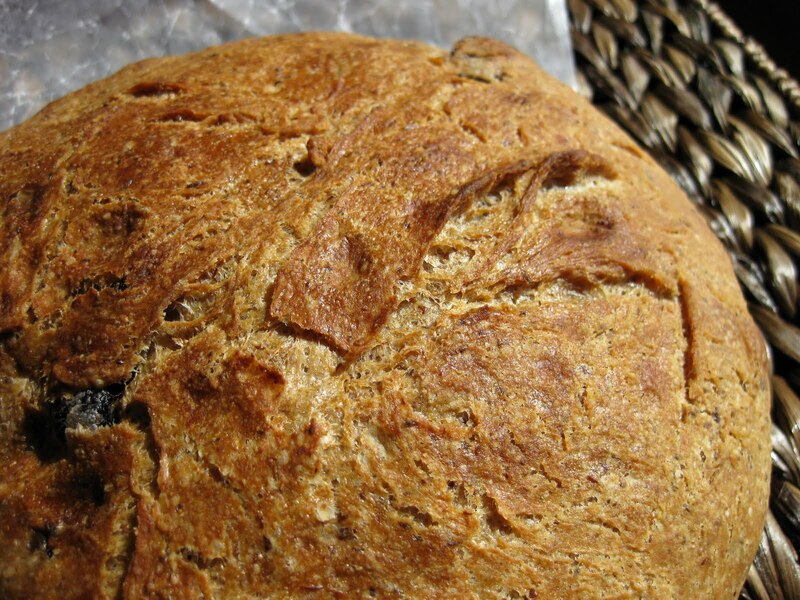 In this bread, I've added chopped olives. A friend introduced me to the wonders of no knead bread (also known as "almost no knead bread") a few years ago, and it's been one of my favorite yeast bread recipes since then. It is easy and delicious: It requires little hands-on work, and the outer crust turns out crispy and brown while the inside stays moist and chewy. A long rising time (~12 hours) means that you need to plan ahead, but the recipe otherwise entails little work. The result: a low-effort, high-flavor, homemade no knead bread loaf made without arm-intensive kneading. 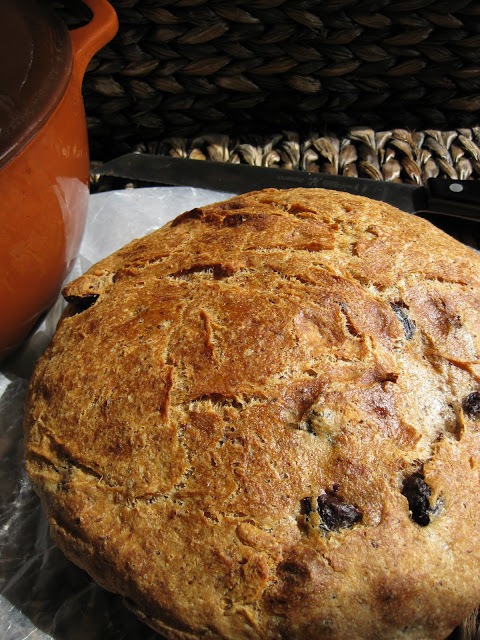 No knead yeast bread recipes are a simple path to a gourmet-style homemade bread. 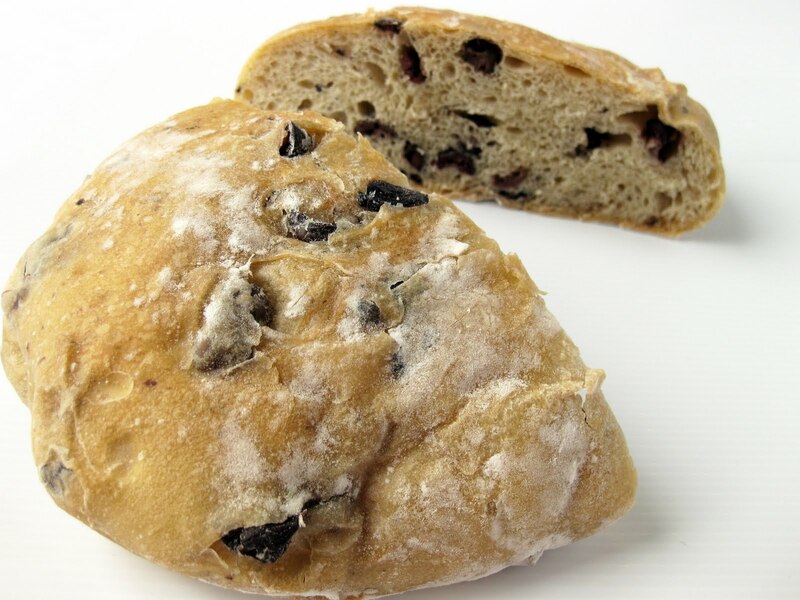 I found a no knead olive bread variation on Macheesmo that looked dependable. 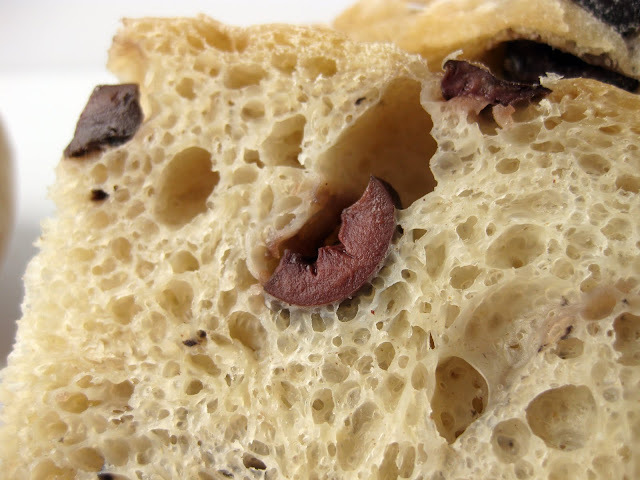 Flour, water, yeast, and olives. How can only four ingredients turn into something so delicious? They can. If you plan to make a loaf of your own, I'd suggest adding a pinch of salt to the recipe as well. The main equipment you'll need other than an oven is an enameled cast iron pot (Le Creuset is the standard brand, but there are cheaper brands ). Whole wheat no knead bread still works best with some white bread flour in the mix. It provides food that the yeast can more easily access and digest; without it, the loaf will rise less, resulting in a smaller, denser loaf. But, that wasn't the last of my no-knead bread adventures! I made the bread a second time several weeks later (see two photos below). I substituted half of the flour for whole wheat flour and baked the bread longer for a darker, crunchier crust that makes this bread so delicious. There's no added salt in Macheesmo's recipe: the olives are supposed to supply it. But, after making the olive bread twice, I'd suggest adding a tiny amount of salt...maybe half a teaspoon. Without it, the bread has an unpleasant flatness. 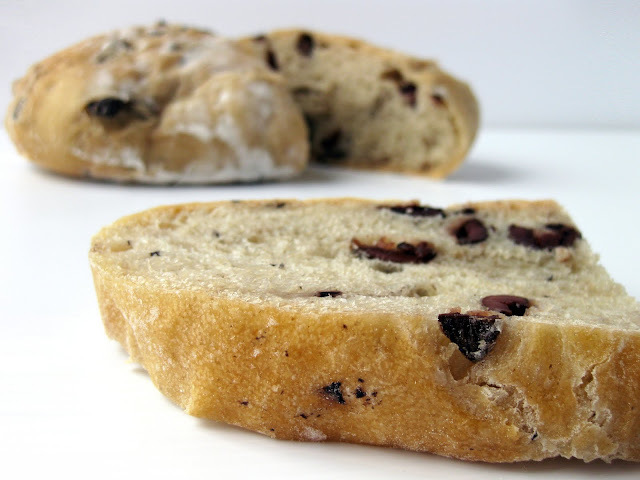 For a rosemary olive bread, add a half teaspoon to a teaspoon of finely chopped rosemary leaves to the dough when you add the olives. Second batch of whole wheat no knead olive bread. 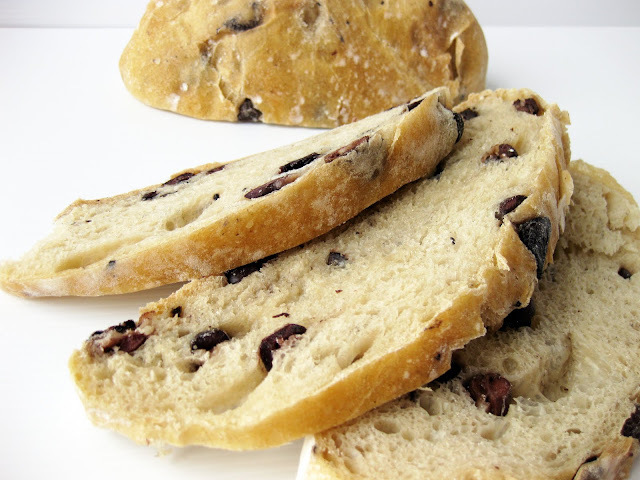 Have you made no knead olive bread before or experimented with no knead yeast bread variations? I'd love to hear your recipes! Mmm...crispy golden crust on whole wheat no knead bread.